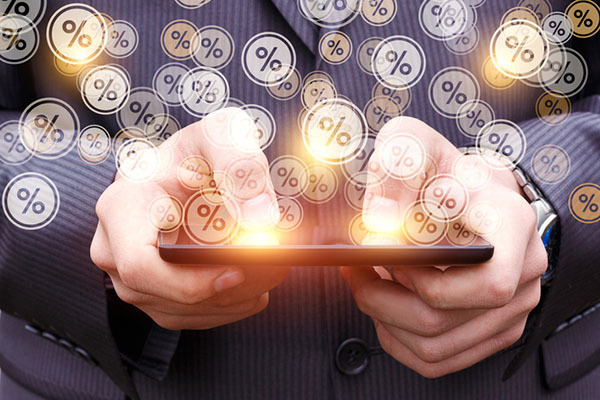 The Bank of England (BoE) has once again left interest rates unchanged while reaffirming its belief that near-term monetary policy will remain inextricably linked to Brexit. All nine members of the Monetary Policy Committee (MPC) voted to leave rates on hold following their latest meeting on 21 March. This marks the seventh month in a row that rates have remained unchanged since they were raised from 0.5% to 0.75% in August last year. Moreover, the minutes of the MPC meeting continue to highlight that the future path of interest rates will largely depend upon the outcome of the Brexit process. Interestingly, they also reaffirmed that the policy response to Brexit could involve the BoE adopting either a tighter or looser monetary stance. While inflationary pressures in the UK remain relatively muted, official statistics did reveal a slight increase in February’s headline rate, with economists predicting further rises over the coming months. Data from the Office for National Statistics (ONS) shows that the Consumer Prices Index 12-month rate – which compares prices in the current month with the same month a year earlier – rose to 1.9% in February. This was up from 1.8% in the previous month and marks the first rise in this measure of inflation since August 2018. The increase was primarily fuelled by rising food and alcohol prices, partly reflecting the previously announced higher alcohol duty rates, which came in effect on 1 February. This rise, however, was partially offset by a slower increase in clothing and footwear prices during February. 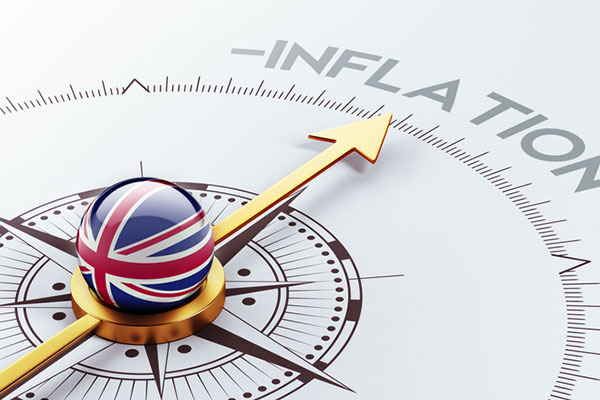 Although the current rate of inflation does remain below the Bank of England’s 2% target, economists expect inflationary pressures to build in the near-term. This is partly due to the hike in many household utility bills, due to take effect in April, but also reflects an increase in the cost of imported raw materials, which are likely to filter through supply chains during the next few months. The ONS recently announced changes to the ‘basket of goods’ it uses to measure inflation. In total, the price movements of 700 goods and services contribute towards the overall rate of inflation, with the ‘basket’ updated on an annual basis to reflect contemporary shopping habits and technology. The latest review means that inflation calculations will now include changes in the price of smart speakers, such as the Amazon Echo device (or Alexa), electric toothbrushes, bakeware products and shop-bought popcorn, but no longer reflect the price movement of envelopes, Hi-fi systems, washing powder or three-piece suites. World stocks were broadly higher at the end of the month as progress was made in the US-China trade talks. Investor sentiment lifted after Steven Mnuchin, US Treasury Secretary, called the talks “constructive” and looked forward to continuing the talks in Washington in early April. The FTSE 100 rose at the end of the month, as mining stocks benefited from progress in the talks. The blue-chip index posted its third consecutive month of gains and its first quarterly rise since June 2018. The domestically focused FTSE 250 recorded its best quarter since September 2016, although performance in March was lacklustre as Brexit concerns weighed. The Dow Jones advanced over 11% in the first quarter of the year, its biggest quarterly gain since Q1 2013. The Nasdaq Composite gained over 16% in the quarter, the most significant quarterly rise in seven years. On the foreign exchanges, sterling closed the month at $1.30 against the US dollar. The euro closed at €1.16 against sterling and at $1.12 against the US dollar. Gold closed the month at $1,292.04 a troy ounce, a loss of 1.59% over the month. Although the precious metal has been supported by lower bond yields, it continues to struggle against resilience in the dollar and equity markets. Brent crude gained in the month, to close at $67.50 a barrel, up 1.79%; crude prices experienced their biggest quarterly rise since 2009. President Trump issued another warning to OPEC (Organization of the Petroleum Exporting Countries) to stop cutting production. Despite a temporary blip, prices stabilised as traders realised OPEC and its allies were not going to accommodate the President. Prices were supported at month end on reports that the OPEC-led group look likely to extend their production cuts to the end of the year. On 29 March, the day the UK should have left the EU, the House of Commons decisively voted to reject Theresa May’s EU Withdrawal Agreement, leaving the Brexit process in a state of turmoil. This was the third time the Prime Minister had asked MPs to approve the Brexit divorce deal that she concluded negotiating with the EU in November 2018. Also, although the margin of defeat this time around was significantly less than on the previous two occasions, the bill still lost by 344 votes to 286 – a margin of 58. Earlier last month, Theresa May had been granted an extra two weeks to come up with a Brexit solution following talks with EU leaders. This extension effectively pushed the Brexit deadline back to 22 May if she could get her withdrawal deal through Parliament or, if she failed to do so, 12 April to propose an alternative way forward. At the moment, however, it appears unclear whether the Prime Minister has a ‘Plan B’. Indeed, senior government sources have suggested that the government is considering a fourth attempt to get the deal through parliament. Meanwhile, MPs are continuing their efforts to find a consensus that a majority of the House can support to break the Brexit deadlock. A customs union is thought to be the most likely preferred option although, even if a majority for such a plan does emerge, it is unclear whether the Prime Minister would be willing to adopt that policy. With the original deadline now passed, it remains difficult to predict what the ultimate conclusion to Brexit will be. A range of outcomes still appear possible including: leaving with no deal on 12 April; leaving with the current deal if the Prime Minister can somehow secure safe passage through the Commons; a longer delay and renegotiation if a consensus for an alternative plan emerges in parliament; revoking Article 50 and remaining in the EU; a second referendum, or a general election. Although official statistics show that the UK economy did stage a comeback during January, the bigger picture remains one of subdued growth as the country continues to grapple with Brexit. The latest gross domestic product (GDP) data released by the ONS, shows the economy expanded by 0.5% in January, more than reversing December’s 0.4% contraction. Some economists, however, have suggested that part of January’s increase was due to businesses stockpiling in a bid to hedge against the risk of a chaotic Brexit, although ONS data was unable to establish whether this was the case. Looking at the data on a rolling three-month basis, which smooths out any monthly volatility, the rate of GDP growth across the three months to January was a relatively sluggish 0.2%. This was the same as the rate recorded during the final three months of 2018, suggesting that growth momentum in the UK economy has stalled. Meanwhile, the GDP forecast produced for the Spring Statement by the Office for Budget Responsibility (OBR) – the government’s independent economic forecaster – shows that the UK economy is now expected to grow by just 1.2% across the whole of 2019. This projection was down from the previous forecast of 1.6% made in October and, if accurate, would be the UK’s lowest rate of growth since 2009.